In 1865, William Booth founded an Evangelical Christian movement in the East End of London. Originally known as the Christian Revival Association, it was renamed in 1870 to become the East London Christian Mission, subsequently shortened to the Christian Mission. The group was reorganised and renamed in 1878 to become the Salvation Army — affectionately known as the 'Sally Ann'. The Army, with 'General' Booth at its head, adopted a military-style uniform and 'Articles of War' which included the renouncing of the use of alcohol. The Army also eschewed religious sacraments such as baptism and communion, considering them unnecessary. 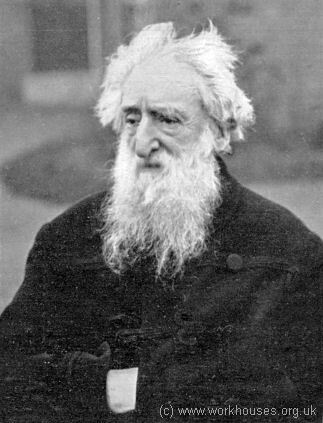 William Booth, c.1909. © Peter Higginbotham. In addition to its religious crusading, the Army gradually became involved a variety of social welfare activities. One of the earliest, in May 1884, was a women's refuge at 212 Hanbury Street, Whitechapel, opened as part of a campaign to rescue young women from prostitution. This was replaced in around August 1885 by larger premises at 48 Navarino Road, Dalston. 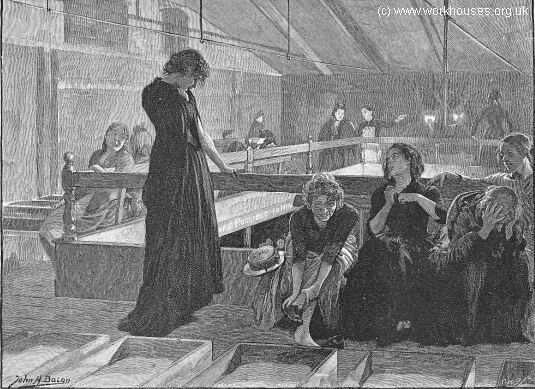 The Army's first night shelter was opened in 1888 at West India Dock Road in Limehouse, with many more soon following. The shelters provided a warm place to sit for the night with some little refreshment for a penny. Soup and bread were also on offer at a similar cost. In 1889, a night shelter for women was opened at 194 Hanbury Street, originally at a charge of 2d. a night, later raised to 3d. after the London County Council made the provision of sheets etc. compulsory. A shelter for boys was opened at 31 Fetter Lane. Hanbury Street Shelter dormitory, 1891. © Peter Higginbotham. 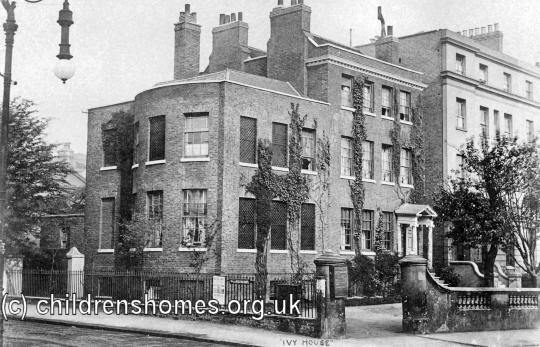 In 1895, The Nest, a home for sexually abused girls, was opened at Upper Clapton. At around the same date, the Army took over Sturge House on Bow Road, a former Barnardo's children's home. The home accommodated boys aged 14 to 18 who stayed at the home for a while, were taught and fed, and then helped to find work. The Nest, c.1909. © Peter Higginbotham. 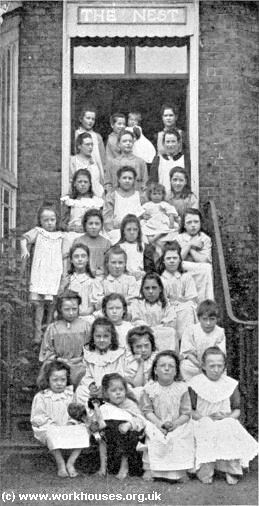 In around 1895, Ivy House, at 271 Mare Street, Hackney, was opened as a 25-bed maternity hospital for unmarried mothers, most of whom were between fifteen and twenty years old. The hospital catered for women both from London and elsewhere. Ivy House, early 1900s. © Peter Higginbotham. As well as providing immediate medical care, the Army found work in service for many young women so that they could support their child. Where possible, they were placed in households where only one servant was kept, so that they would be spared embarrassment from the others finding out their 'secret'. The Army also made efforts to locate the children's fathers, with the aim of obtaining financial support, either voluntarily or through a bastardy order. A separate page gives a list of Salvation Army establishments that fall within the scope of this website. The Salvation Army International Heritage Centre, William Booth College, Denmark Hill, London SE5 8BQ. Email heritage@salvationarmy.org.uk. Has a research service, with initial enquiries answered free, more detailed follow-up research charged at £20 per hour. There is also an online catalogue of the Centre's holdings. The Salvation Army — an illustrated history by Peter Higginbotham.